Being away from home don’t let Valerie Thomas and Rafi Haikal forget their roots. Both of young Indonesian are forming a brilliant movement for the millennials generation. 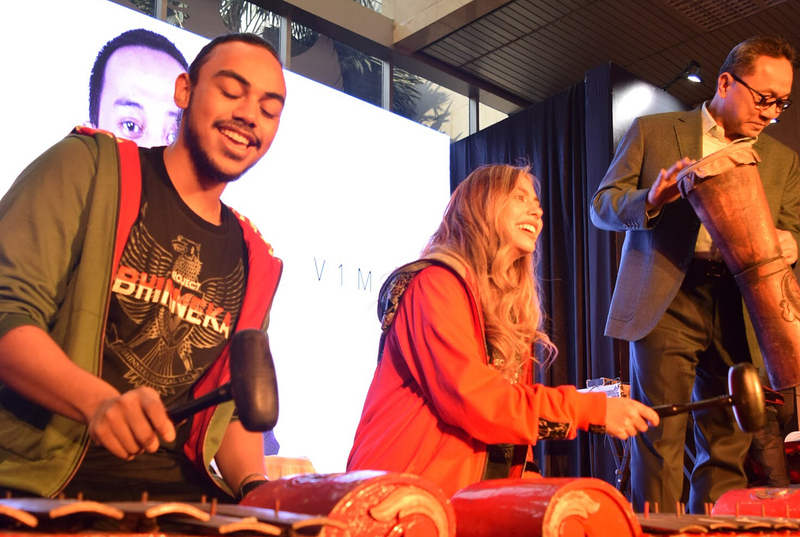 Bringing the Bhinneka Tunggal Ika back to the sense of young generation, Valerie and Haikal hope that they don’t leave behind their background. The project itself is a medium for talented Indonesian despite the distance from home, age gap, or the disability. As the owner, two best of friend try to exploit the skill and talent that every Indonesian own and spread the words on social media. The first movement was holding an exhibition with an art, culture and unity theme at MPR building. 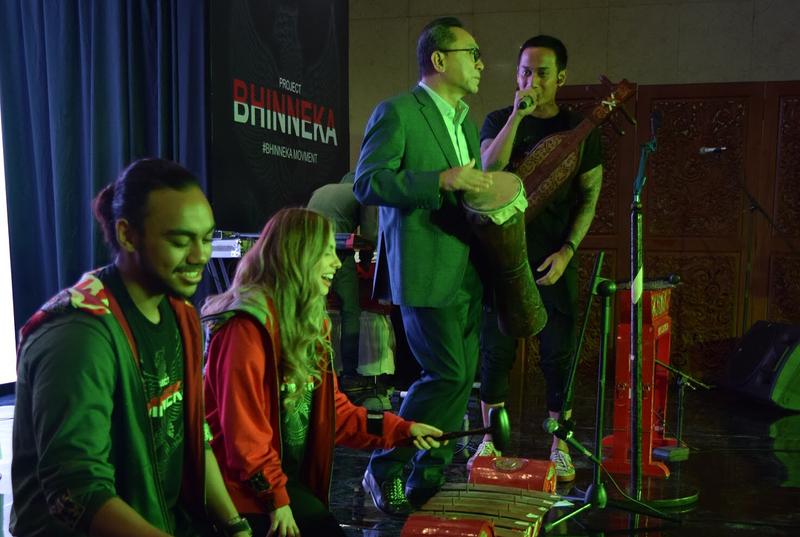 Besides the photography and painting exhibition from skilled artists, the Bhinneka movement ceremonial was awarded by Zulkifli Hasan, the chairman of People’s Consultative Assembly of the Republic of Indonesia (MPR RI). Also the performer brought epic performances. Start from Michelle Layanto; a violinist currently studying at Berklee College of Music in Boston, to Junkie Munkie and J-Valentine. 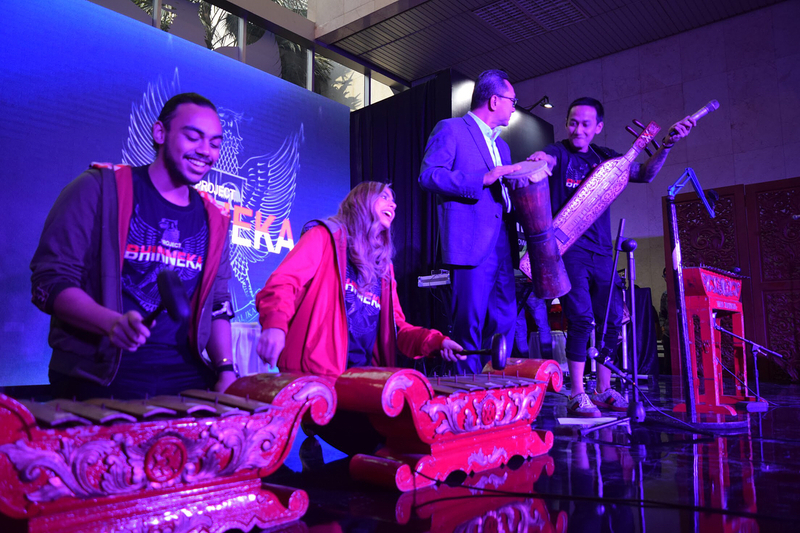 Yet the spotlight was when Mr. Zulkifli Hasan, Valerie Thomas, Rafi Haikal did a gamelan performance together with V1mast. It was outstanding. Thumbs up for Valerie and Haikal for organizing such an inspirational movement for the young generation. Hope to see more about the Project Bhinneka in the future.